Stripe A Lot has the experience and knowledge to help get your parking areas and signs complaint with ADA guidelines. We know the ADA laws as they apply to parking & accessibility to your business, and can provide you with the proper modifications to help you avoid costly lawsuits, audits and fines. Did you know the Americans with Disabilities Act (ADA) require building owners to set aside a certain amount of parking lot spaces designed for those with handicap placards? Not only are the spaces requires, but they also must be marked according to ADA guidelines. 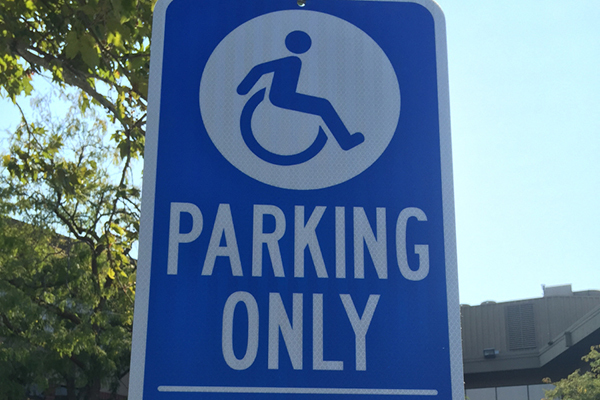 As full striping service, we are able to deliver ADA-compliant markings and proper signage for your parking lot or parking garage. Call us today to schedule a quote for parking lot striping that meets ADA guidelines. Please call 925.250.8920 or contact us now.